How Did Your Senators Vote on the Bank Lobbyist Act? 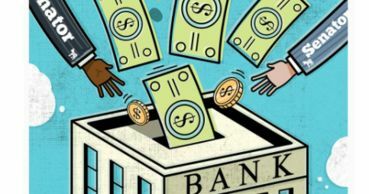 S. 2155, also know as the Bank Lobbyist Act, is a bill that takes aim at Dodd-Frank protections for consumers and the ability to monitor big banks to prevent another financial meltdown. Your Senator stood up to the big banks, and voted AGAINST S. 2155. Send them an email to say "Thank you!" I thought the link would take me to a page with the names of the Senators who signed on to this bill. But, it just takes me to a page that has a form to fill out for what looks like to get on a mailing list. I prefer not to get on a mailing list for an organization I have not heard of. I think it was Jimmy Dore who showed a list of Democrats who have signed on and my senators were not on the list. One voted against and one voted for.